​In 2015, three funding organizations established the Summer Funding Collaborative (SFC or the Collaborative) to reduce the application burden on summer enrichment providers by establishing a shared application and review process. Since then, the Collaborative has grown to over 10 public, private, and non-profit funders. The SFC envisions a sustainable summer program landscape that provides a range of choices, including enrichment, academic support, youth work opportunities, and safe places for children and youth to spend their days. Within this landscape, funding, intermediary, and program partners work together to keep improving the quality of the programs and to make sure programs are available for children and youth from low-income families and under-resourced neighborhoods. To this end, the Collaborative brings together public and private funders to support a sustainable system that enables all young people in Baltimore City City to access high-quality summer programs that meet their needs and interests and prepare them for bright futures. The mission of the SFC is to fund different types of summer programs to keep students engaged and reduce summer learning loss so that more youth can reach their full potential. While members of the Collaborative bring their own priorities to the table, they work together to make complementary funding decisions with the goal of fully funding as many high-quality summer programs as possible. Check out the map of the programs the Collaborative funded in 2018! Several partner organizations coordinate administrative tasks on behalf of the whole Collaborative – releasing the RFP, facilitating the community review process, coordinating grant decisions, and collecting and analyzing data. ​​Baltimore's Promise is the Administrative Backbone for the Collaborative and works on its behalf to make sure that the summer grant making, data collection and analysis, grantee professional development, and summer provider network-building are implemented. For more information about Baltimore's Promise, please visit the Baltimore's Promise website. Family League of Baltimore is coordinating the Community Review process for all applications submitted to the Summer Funding Collaborative. They will also provide professional development for all programs that receive funding from the Collaborative. For more information about Family League of Baltimore, please visit Family League's website. Fill out just one application, which saves you time. You will also find allows for earlier notification of grants. Gain fairer access to summer funding. Get professional development and technical assistance opportunities for selected programs. Amplify grant-making by leveraging funding across the city, reducing duplication of effort, and supporting more summer programming for Baltimore City’s youth. Learn about new, high-quality programs and organizations that meet grant-making priorities as well as the needs of the community. Save time through the streamlined application process. Application reviews are standardized and incorporate youth and community voices. ​Funders, please download this one-page overview with information on how you can join the SFC. More young people will be served by high-quality programs over the summer months -- from literacy and STEM education to job training to arts enrichment and sports. Better data will lead to better programming. The Collaborative collects, aggregates, and analyzes data on summer programs across the city. 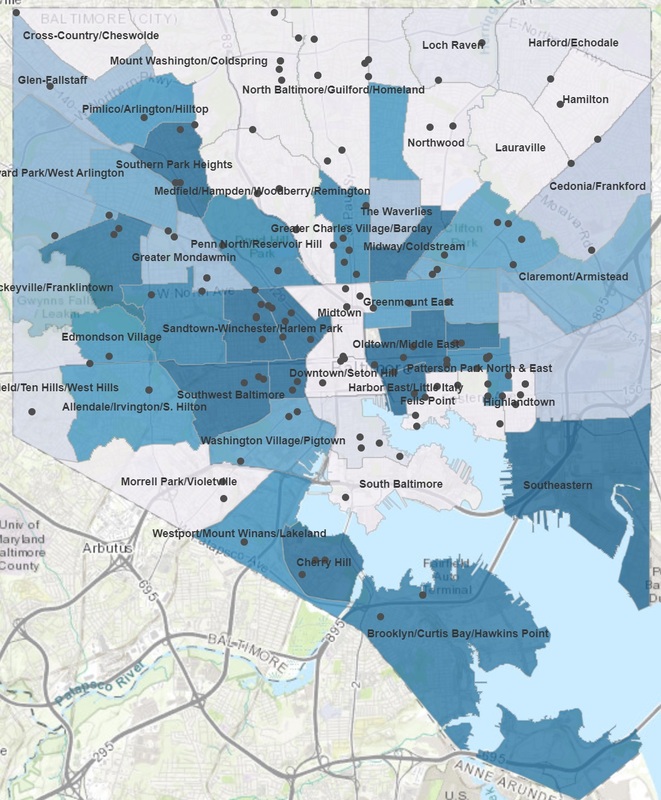 Over time, this data can inform targeted programming that serves every young person in Baltimore City. More partners will bring more resources for Baltimore City youth. The Collaborative coordinates with other stakeholders, such as Baltimore City Public Schools and Summer Meals, to make sure that young people have what they need all summer long.